All I can do is smile when Amazon tries to sell me one my own books. This happens more often than you might think. Every few days I go and check each of my books to see if there are new reviews and to ensure everything on the page is correct and working. Usually, I’m on the page for less than a minute, but Amazon takes this as interest in the book. So, about once a month I get an email trying to sell me one or more of my paperbacks, ebooks or audiobooks. I have no idea why Amazon thought I might want the middle book. I’ve always thought that Final Duty, the novella that leads off my anthology would be a great audiobook. In Final Duty, Lieutenant Amy Palmer returns to the Altair star system, onboard the reconnaissance ship Mirage, twenty years after the death of her father during the Battle of Altair. Almost immediately disaster strikes and Amy, along with the rest of the Mirage crew, must face the possibility of performing their final duties. I imagined the story as more than an audiobook with at least a female and male voice actor and even some sound effects. It would then be a hybrid, or as it is called in the industry, a multi-cast, more than an audiobook, but less than a full radio play. However, such a production would be expensive, the story is short, about 15,000 words, and I give away the ebook. It’s really hard to sell an expensive audiobook when you give away the ebook. So, although I thought it would be fun, it was a project that would probably never be done. But then my sons decided to split the cost and give it to me as a Father’s Day present. We’ve been working on the project since before Father’s Day. We hired Brick Shop Audio, a New York City audiobook company to produce the project and two voice actors, Erin Mallon and Michael Braun. They all did a fantastic job of bringing our script to life. The project is now complete and you can hear a sample on Audible here or on my website here. One of the hardest tasks for a mid-list or indie author is just getting noticed. In this digital age there are more authors writing more stories than ever before. So, no matter how interesting and entertaining my stories might be, it is difficult to spread the word and find readers. That is one reason I don’t care how often it happens; it’s always fun to see advertisements like this one sent to me by one of my readers. Unfortunately, for both of us, she already had both of these books. Final Duty has been redesigned, retitled, re-priced and re-released. 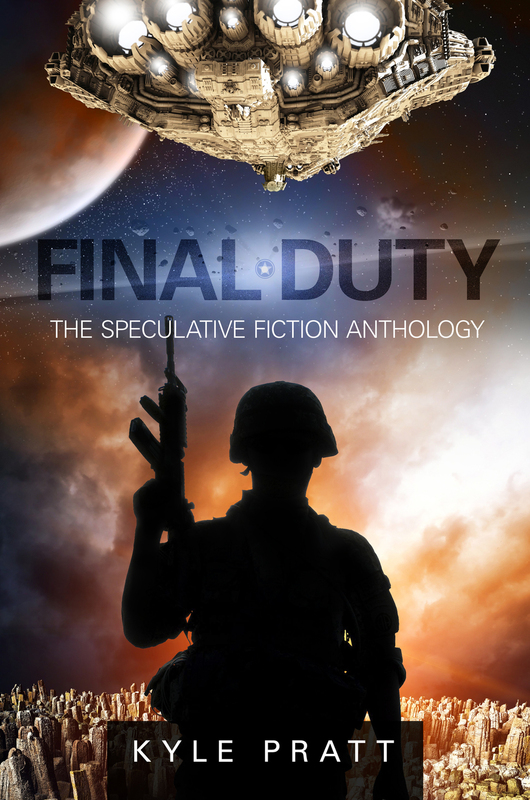 The new title is Final Duty – The Speculative Fiction Anthology. The new book contains everything the old one had, including the title novella Final Duty and the short stories Infinite Darkness and The Promise. However, I’ve added lengthy excerpts from both of my novels, Through Many Fires and Titan Encounter. As future writing projects are completed, I plan to add excerpts of them to this book. 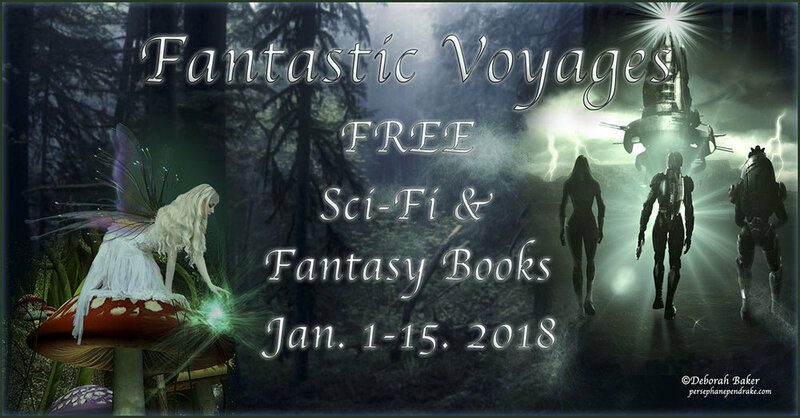 The lowest price an author can set on Amazon is 99 cents, but I want the book to be free for my readers so, I’m giving away the book on Smashwords and Google Play. Amazon is currently matching that price, making it free on their site also and, I expect, Nook and iTunes to soon follow. So if you’ve been thinking about reading some of my work, but haven’t done so yet, now you can do for free. I plan to leave Eek, Alaska, on Thursday and with a little bit of luck, be home in Washington State for Christmas. Leaving Eek during the winter is always an iffy proposition. Since we travel in small bush planes if it is too foggy or windy we can’t fly, but, fortunately, the weather should be good on Thursday. However, the runway lights are broken at the airfield and no one seems to be able to fix them so we must leave during daylight. There isn’t a lot of day up here right now. The school closes for very few holidays and does not take a spring break so we are able to take a three week vacation for Christmas. In addition to enjoying time with family, I’ll want to finalize plans for the release of Final Duty – The Alien War Anthology. I’ll meet with the Micah Hansen, who is doing the cover design, and reviewing the last minute editorial changes. Finally I’ll sit down my senior editor, my wife, and ensure we are both happy with the final product. If we are I’ll set a release date at that time. I’m hoping Final Duty will be available on Amazon in January. Three stories all separated by time, planets and events, but tied together by war. That is the idea behind Final Duty – The Alien War Anthology, scheduled for release in early 2013. I’ve been working on a novella and two short stories that I wrote long ago, but never released. I felt they were excellent stories, but I never knew what to do with them. In the end, I decided to publish the stories, totaling about 27,000 words, in a single volume. All are firmly set in the military science fiction subgenre. Here is a synopsis of each. Final Duty: Twenty years after the death of her father during the Battle of Altair, Lieutenant Amy Palmer returns to the system as an officer aboard the reconnaissance ship Mirage. Almost immediately disaster strikes and Amy, along with the crew of the Mirage, must face the possibility of performing their final duties. I wrote most of Final Duty while serving on the U.S.S. Missouri (BB-63) during the Gulf War. I’m certain that writing this story while living in the confined grayness of a navy ship during battle gave it an added sense of realism. While writing it I tried to take current military procedures and imagine them in a future spacefaring navy. At nearly 16,000 words, Final Duty the longest story in this collection. The Promise: A young man will soon leave the planet of his birth with his wife and child, but his mother refuses to go until they visit an old war memorial. The visit stirs buried memories or are they something else. This short story, of just of 5,000 words, includes a tale told in flashback within the main story. Today, they tell writers not to do flashbacks, but I didn’t know that at the time and, regardless, I think it works. This was written before Final Duty, while I was on deployment with the USS Sterett (CG-31) in the western Pacific and, I believe, it was also helped by the fact that I was onboard a navy ship at the time. While it was my first venture into the military science fiction genre there is just a bit of romance. At just over 5,000 words, it is the shortest story in this anthology. Infinite Darkness: A young man wakes up and discovers he is the new guy in an army unit on an alien world. While the previous tales were naval, this story uses a loop literary technique to examine one day in the life of a soldier caught in combat on an alien world. I quizzed my youngest son, an Army veteran, for procedural details while writing it. This story is just over 6,000 words. I’ve finished my rewrites and edits this weekend and have sent them off for final editing. I’ll start working on the cover design in the next few days. Originally I thought this collection would come out in the spring of 2013, but now I believe we can have it out shortly after the new year. Today, I'm rereading and editing three short stories that I wrote while in I was in the navy. I want to release them in 2013 as an anthology. The first story in this group, The Promise, was written while I was on deployment with the USS Sterett (CG-31) in the western Pacific. I’m certain that writing this story while living in the confined grayness of a navy ship gave it an added sense of realism. While it is set in the far distant future and in space, it remains a story of sailors, separation and homecoming. Here is the opening paragraph of The Promise. Two of the other stories would be in the military science fiction genre. Final Duty is a novella length story set aboard a reconnaissance vessel stranded behind enemy lines when an explosion damages their Bias Drive. A young man wakes up and discovers he is the new guy in a army unit on an alien world in Infinite Darkness. I’m hoping to have this collection out in the first half of 2013.